Visitors will get the latest updates on exciting developments from Flint Group‘s four different product groups that deliver leading edge solutions for prepress and pre-production, digital and conventional print and embellishments, converting and delivery. Among those systems are the Digital Solutions’ division’s Xeikon 3300 roll 2 roll configuration. It will be helping visitors identify ways to cost effectively expand their business production capabilities and door opening opportunities. 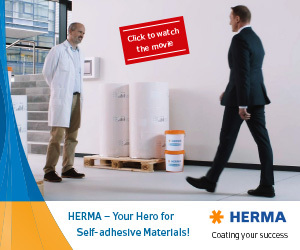 It supports high quality production for self-adhesive labels and the heat-transfer sector. The cost effective entry level narrow web label press excels in productivity and prints at true 1200 dpi offering operators flexibility and operations scalability. It is the only digital press with a real prepress workflow and strong color management functionality to ensure maximum performance with CMYK + White. Its water resistant dry toner allows the use of substrates without any specific treatment. 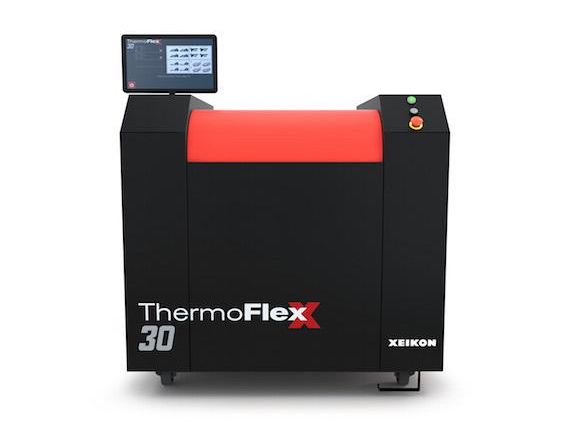 Underpinning Xeikon’s technology agent status will be samples from one of its newest portfolio additions – the PX3000 UV inkjet press. It was developed in response to the growing need for new technologies in digital label printing, to drive new applications and to produce them in the most efficient way. The system joins a growing family of inkjet presses that offer the right technology for the right application. Flint Group’s Digital Solutions will showcase how its ThermoFlexX 30 platemaking system provides high-resolution plate imaging, unique plate handling and productivity. They will demonstrate the ease of plate loading and unloading and its one of a kind multi-resolution imaging capabilities. With a maximum resolution of 5080 dpi, they can seamlessly reproduce halftone screen up to 250 lpi, ideal for intricate, high quality work. The small footprint, integrated carbon filtering system and the whisper-quite operation allows the ThermoFlexX 30 to be put even in an office environment. The Narrow Web division will exhibit the latest ink technologies for all Narrow web printing techniques. As lead innovator they will show the widest portfolio of ink series designed to increase converter productivity, efficiency and provide the lowest cost per label while enhancing the converter’s brand image. Exhibition focus will include recent innovations in LED curing inks such as EkoCure XS, the fastest ink for shrink sleeves that provides the best in class shrink performance. In addition Narrow Web experts will demonstrate the brand new colour management solution, VIVO Colour Solutions. Visit a demo of VIVO Colour solution and fully understand how this can improve your bottom line. Also present will be Flint Group’s Flexographic division that comprises of a complete product portfolio of nyloflex® printing plates, plate processing equipment and rotec® sleeves and adapters. Key highlights include the nyloflex® Xpress Thermal Processing System, and its flat top dot and round dot top thermal plate portfolio, which are optimized for the Xpress thermal processor, delivering excellent print results in the flexible packaging and label markets. Also on highlight will be the recently launched nyloprint® WF SHARP Digital, a letterpress plate for the label printing market, which is able to hold finest image details, especially in the printing of highlights and vignettes. The new polymer formulation provides a homogeneous ink lay-down on all common label substrates and laminates.